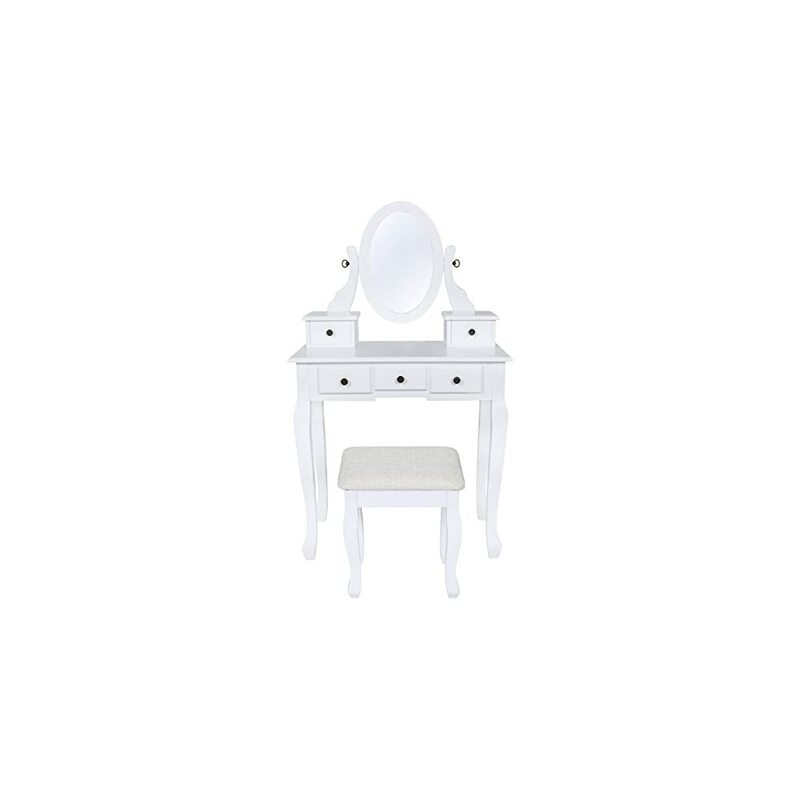 Styling hair and doing makeup just got easier. 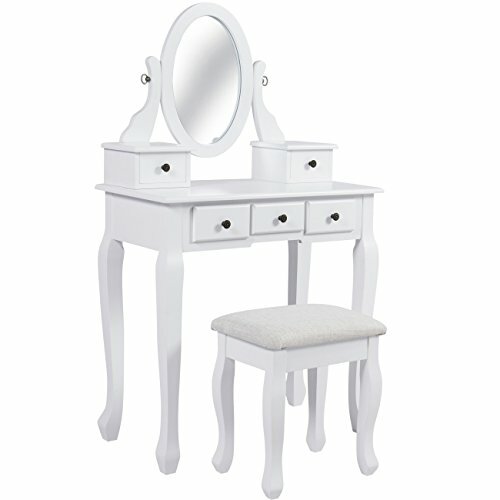 Made with swivel-adjustable mirrors and 5 convenient drawers, this vanity set can easily store perfume, makeup, and hair accessories. 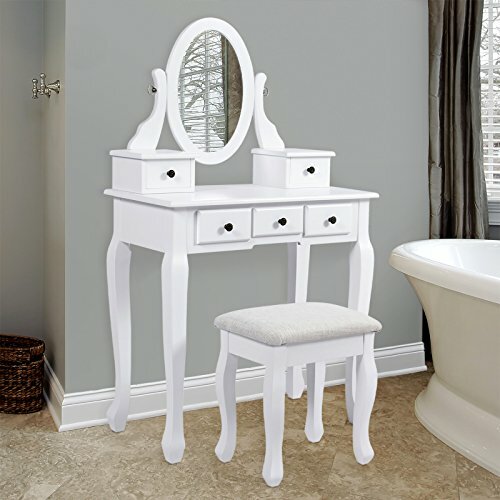 This stylish piece works beautifully in a bathroom or bedroom to help make your morning routine a breeze. 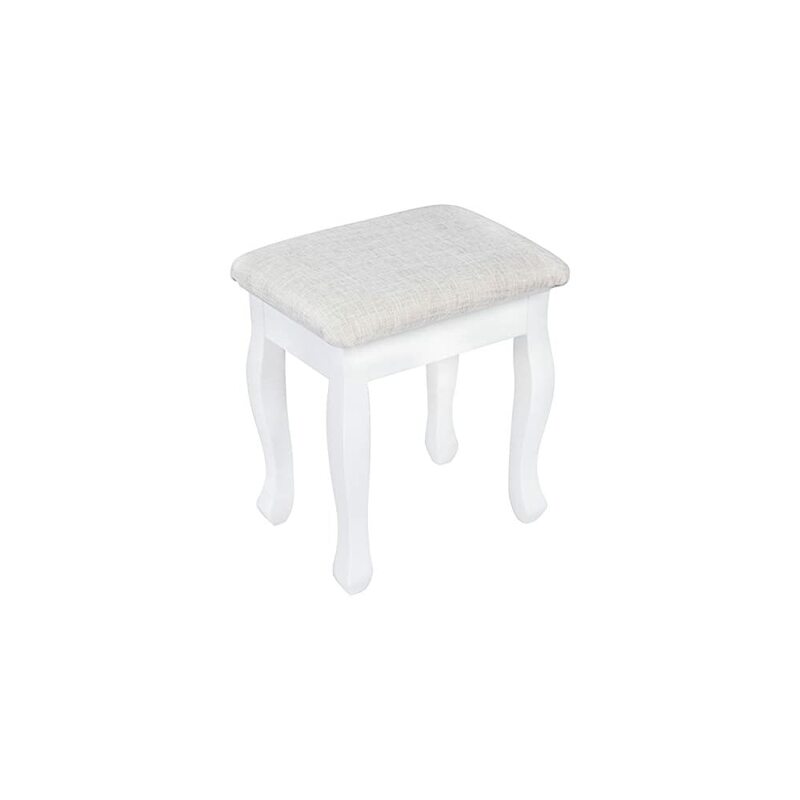 Table Dimensions: 30″(L) x 16″(W) x 51.75″(H); Stool Capacity: 350 lbs. 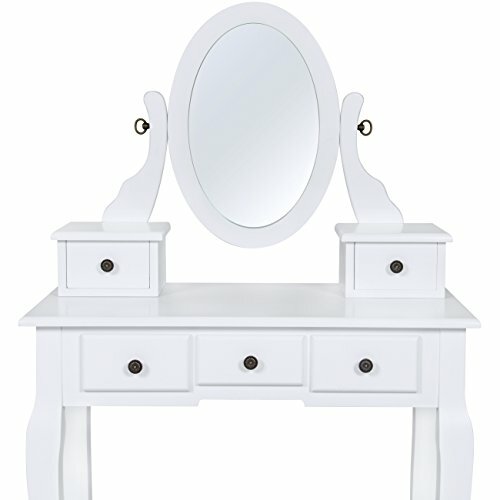 My son bought this for his wife and she loves it. 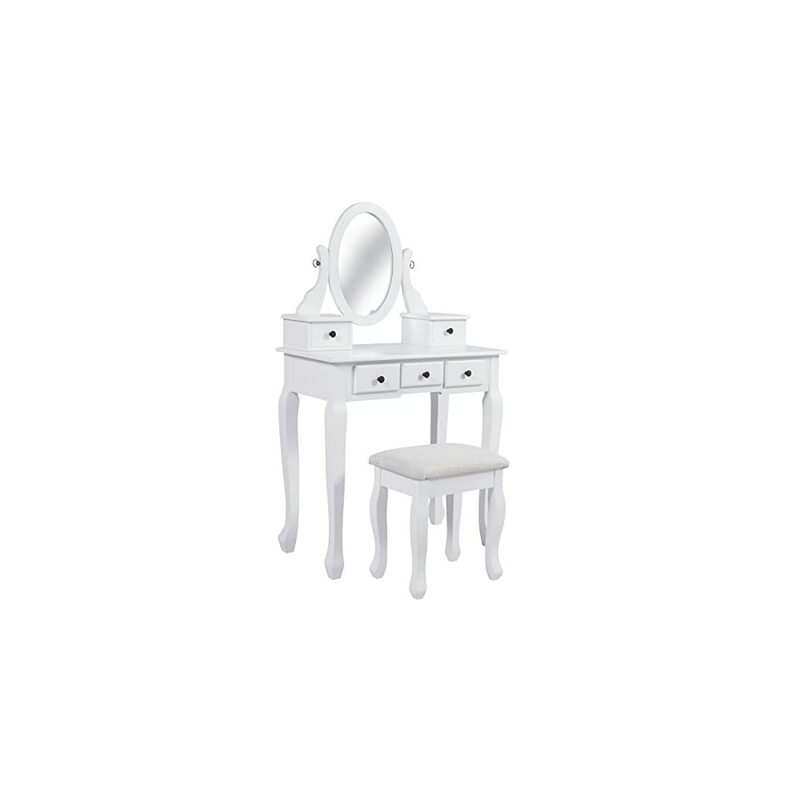 It is a really good size with plenty of storage space. It may be a solid product but you can get the same unit at Walmart for about $35 to $45 less, please shop around before ordering. I always wanted one of these growing up thinking I might just get myself one now that I am all grown up . Same here,I had one as a young girl,would very much like to get this for 3grandaughters for Christmas or birthday,looks well made by good company. OMG I love this set. It is Beautiful. 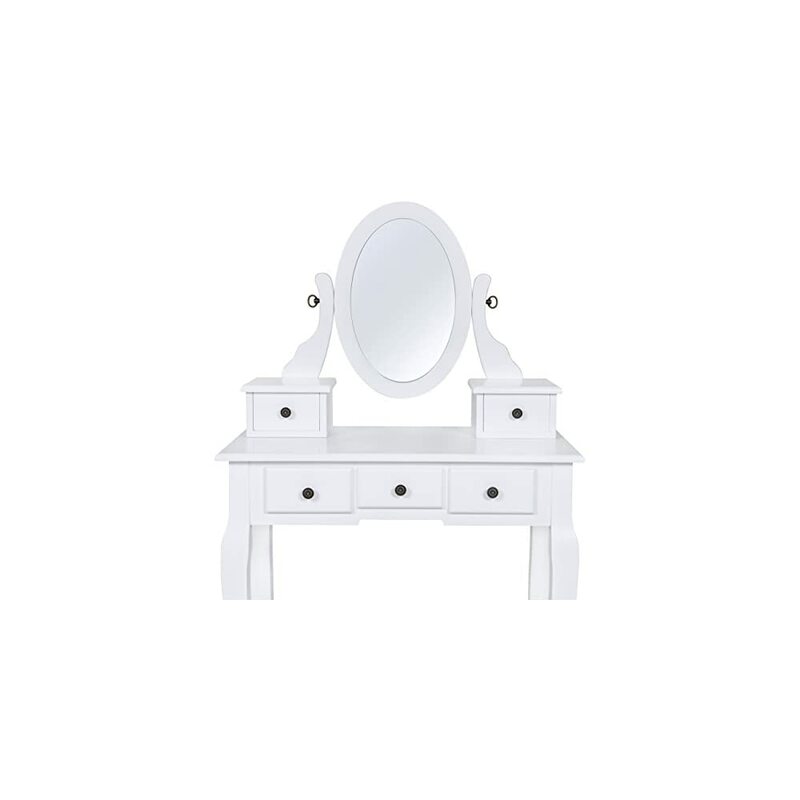 It has Swivel adjustable Mirrors and 5 Storage Drawers. 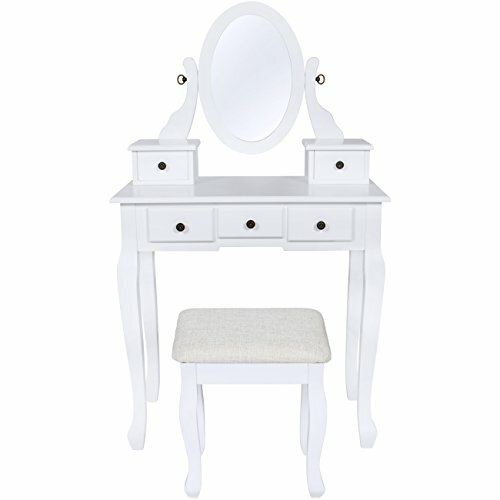 You can put all of your Brushes Makeup and a nice Mirror on top. 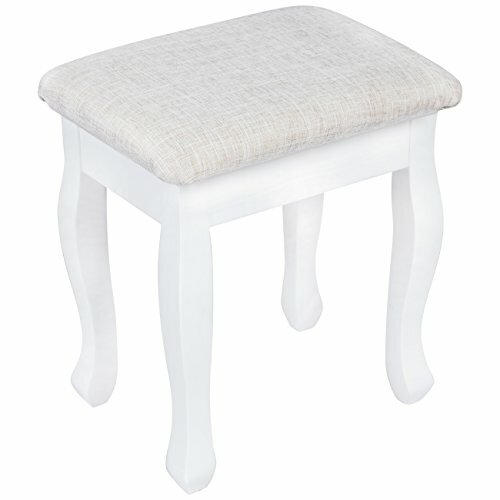 The wooden stool with floral padded upholstery is very pretty as well. The Price is good. Well worth the Product.